On May 11th, Hartnell College Foundation held its seventh annual Party in the Library event. Once again, the sold out event bloomed into Salinas Valley’s biggest party! This year’s Leadership Award was presented to Mr. Andy Matsui for his support of Hartnell College’s new Computer Science Information Technology three-year Bachelor Degree (CSIT-in-3) program, in partnership with CSUMB. The Matsui Foundation has pledged full-ride student scholarship support for the first three years of the program. The Foundation would like to recognize the incredible event committee, led by co-chairs Coralee Linder and Cathy Schlumbrecht that made this event, truly bloom. 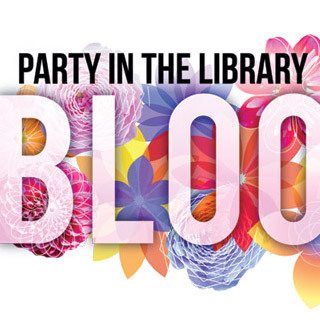 Thank you to all those who supported this year’s Party in the Library event! We look forward to seeing you at next year’s party! Visit our Facebook page to view pictures from the event!